Want to wear your love for herb grinding? The new Kannastor Grinder pendant fits perfectly and is functional as well. Kannastor Grinders come with sharp, specially designed blades for effortless shredding. Excellent for use on trips as well as in the home. External diameter of this herb grinder is a very pocket friendly 1.25" when not worn around the neck. 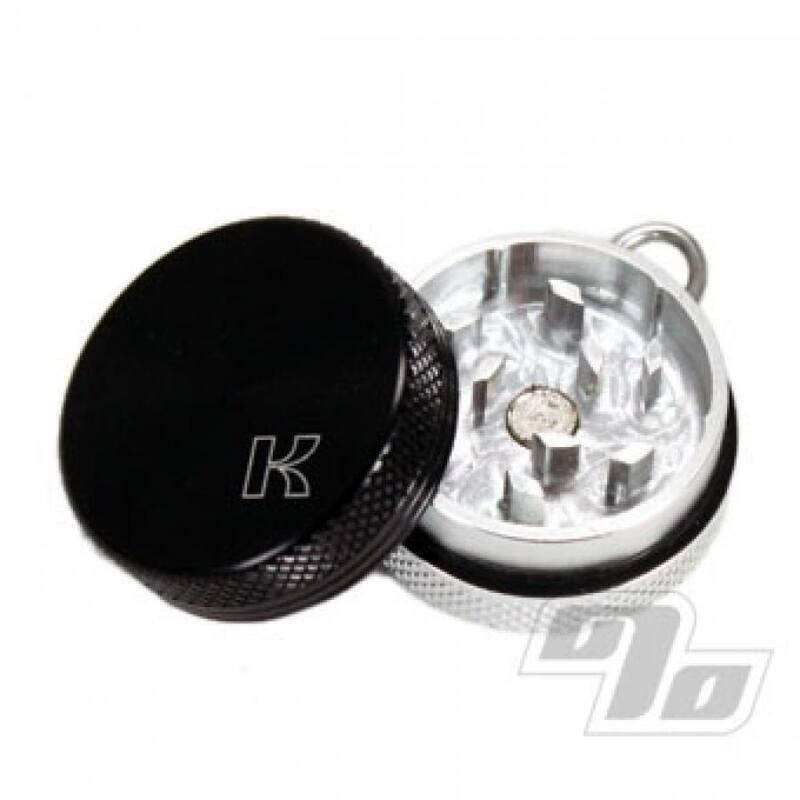 Kannastor Grinders are manufactured with hand polished aircraft grade aluminum and an anodized grinder chamber with a magnetic closure to seal tight when not in use. 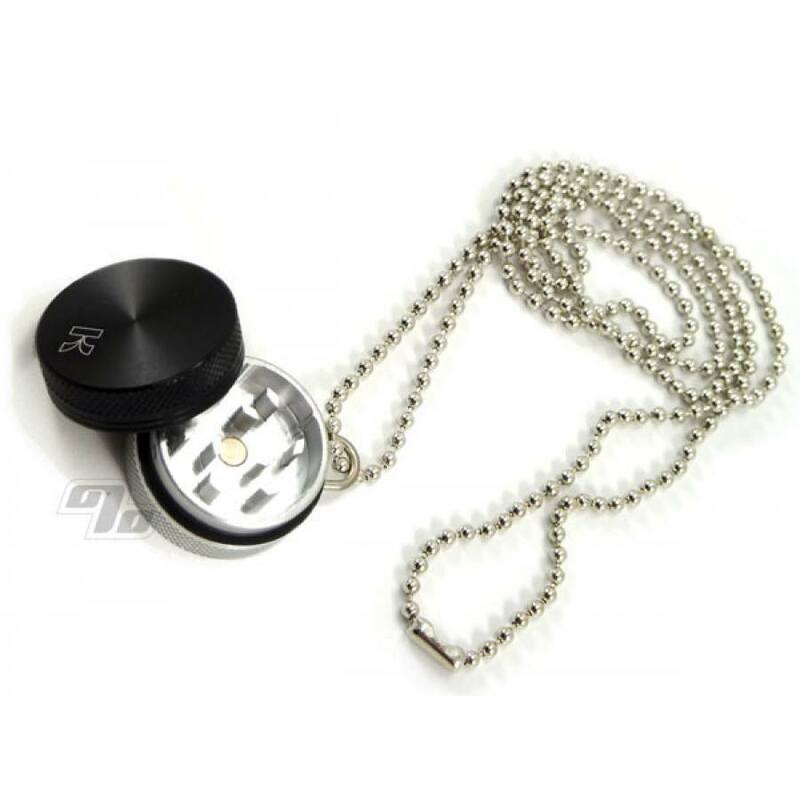 Each mini grinder also includes a ball chain. Well made, good quality grinder. Obviously not a main grinder but for out and about does the job well. Small magnet keeps the parts together and prevents against loss. Chain is long enough to allow grinding without taking the chain off. Would make a great gift! As soon as I saw this product, I was estatic and immediately added it to my cart. The shipping was very fast! And 1 percent is always my first store to go to. But this product is fairly poor in its use. It's very very small. A lot smaller than you expect. You would have to use a very small amount of herbs for it too actually work. The magnetic connector is very weak and often falls off. So let's say you want to roll a joint with a decent amount of tobacco, you would most likely have to use this grinder 5 seperate times for it work. It's just not that great of a product. Love this site though! Nice little grinder, on the small side but that's what makes it so cool, very discreet and convenient!